The Milo-Grogan neighborhood is located due north of downtown Columbus. Over time the two distinctly industrial neighborhoods of Milo and Grogan were joined together as a way to better define unclear neighborhood boundaries. By the 1980's both I-71 construction and the closing of factories took a toll on the residents. In 2007, the Milo-Grogan Area Commission, in partnership with the city of Columbus, published the Milo-Grogan 2007 Neighborhood Plan, which established goals for the community for the next 10 years. Homeport’s new lease option home development in Milo-Grogan will feature traditional architecture designs with 3 bedrooms and 1.5-2 bathrooms. Two models, The Eliabeth and The Westminster, with floor-plan options are available. Each Homeport home is a quality design with energy efficiency and sustainability built in. 3 Bedroom Single-Family homes are available for lease purchase. 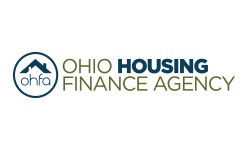 Call our management partner Community Properties of Ohio at 888-564-3803 for more information. Let us know what you think about your Milo-Grogan neighborhood. Marisa Perez Searle, AmeriCorps VISTA working with Homeport, is looking for Milo-Grogan residents to take a survey. Call her at 614.545.4884 to take the survey over the phone. All survey takers get a chance to win a gift card! Third Hand Bike Cooperative at 979 East Fifth Avenue is the first commercial entity to benefit from Homeport's initiative to rehabilitate the Milo-Grogan community east of I-71. Watch to video to learn more! Existing businesses along key commercial corridors can apply for a grant up to $5,000 for exterior improvements. Call Rebecca Neubauer Eddy, Project Manager at 614-545-4828 to apply.